Though for the better part of the last decade, ever since their split, rumors have swirled of an Oasis reunion, the brothers that make up the core of the group, Liam and Noel Gallagher, have maintained a relationship rocky enough, so far, to prevent that from happening. While in all likelihood it will one day come to pass, if you’ve been stubbornly sleeping on the Gallagher brothers’ post-Oasis endeavors, you’re sorely missing out on some phenomenal projects in their own right, particularly Noel Gallagher’s High Flying Birds. 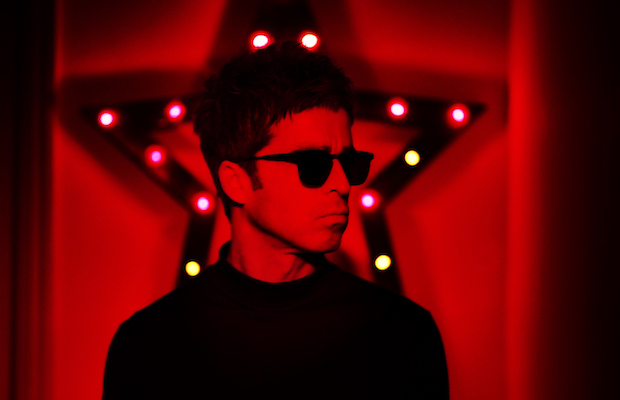 Now seven years and three albums into his solo run, Noel, his former band’s core writer, has proven to be a more than capable frontman, building on the foundation Oasis laid to explore new sonic territories and continue his top-notch writing style. Gallagher returns to Nashville for the third time and first since last year’s Who Built the Moon?, for a Feb. 27 performance once again at The Ryman Auditorium. Tickets are still available right here, but we’re excited to announce that we’re also giving away a pair of tickets to one lucky fan! Read on for more about the show and enter for a chance to win below. Winner will be announced Thursday, Feb. 22 at 2 p.m. CST, and will receive one pair of tickets. Good luck! Win Tix To Noel Gallagher at The Ryman! Noel Gallagher’s High Flying Birds will perform Tuesday, Feb. 27 at The Ryman Auditorium. The show is all ages, begins at 8 p.m. (doors at 7 p.m.), and tickets are available to purchase for $52-77.50.